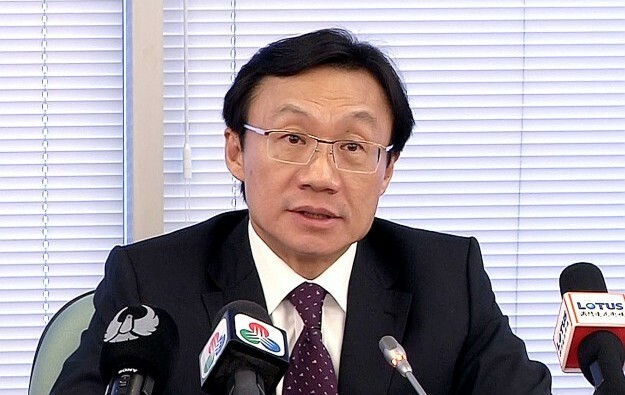 The Macau government might reconsider its position regarding a tabled ban on casino smoking lounges, depending on the results of an ongoing public consultation, said Macau’s Secretary for Social Affairs and Culture, Alexis Tam Chon Weng (pictured), in comments on Thursday to local media. The city’s Legislative Assembly is conducting a 60-day public consultation process on a planned revision of the tobacco control law. On July 10, legislators approved the first reading of the government bill, which proposes the abolition of casino smoking lounges and a full smoking ban in VIP areas. The bill is now at committee stage in the Legislative Assembly, but it is likely to be next year before the revised rules become law. The working committee asked to examine the bill is accepting opinions from the public on its tabled contents. Such opinions can be submitted via letter or email until September 30. The committee will also be inviting several interested groups to share their views about the impact of the proposals in the new bill on smoking. Those invited include representatives from the city’s gaming concessionaires, junket operators and casino workers. After a scheduled meeting on Thursday with the Legislative Assembly’s working committee, Mr Tam – who oversees smoking control policies – told reporters the government had “an open-minded attitude” on the issue of smoking lounges in casinos. Mr Tam added that if the public consultation results showed the majority of the population and gaming workers were in favour of keeping smoking lounges, the government would be open to discussing the matter and could reconsider its stance. But he denied this meant a U-turn, adding that the government’s smoking lounge ban proposal is aimed at protecting the health of casino workers and visitors. “It is still too early to discuss what will be the government’s next step – we need to wait for the results of the public consultation process,” Mr Tam stressed. He had previously argued that smoking lounges inside casinos were not completely effective in preventing non-smokers being exposed to secondhand smoke. Brokerage Sanford C. Bernstein Ltd pointed out this was “the first time” the Macau government “outright mentioned” the possibility of keeping smoking lounges and allowing them in VIP rooms. “We view the government softening stance on a variety of issues signals that policy may have started to turn more accommodative against the backdrop of a deteriorating economy in Macau,” wrote senior analyst Vitaly Umansky and his colleagues Simon Zhang and Bo Wen in a note on Friday. Investment analysts have said removing mass floor smoking lounges could shave 10 percent from mass market gaming revenue, and a VIP room smoking ban as much as 15 percent from VIP revenue. Smoking on casino main floors in Macau is currently only allowed in airport-style enclosed smoking lounges that do not contain any gaming tables or slot machines. Having a cigarette while gambling is at present still allowed in VIP rooms.